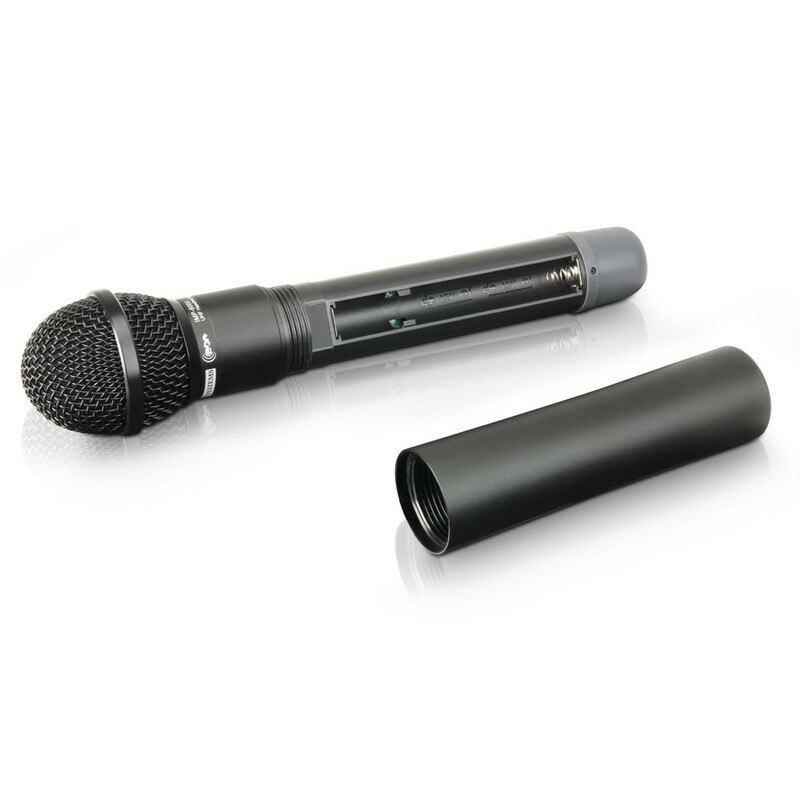 Operating in the 863.1 MHz band, this ECO 2 Series handheld microphone features a cardioid polar pattern, 60 Hz to 16 KHz frequency response, output power selector and low battery indicator. Operating time exceeds 10 hours with 2 quality alkaline batteries. 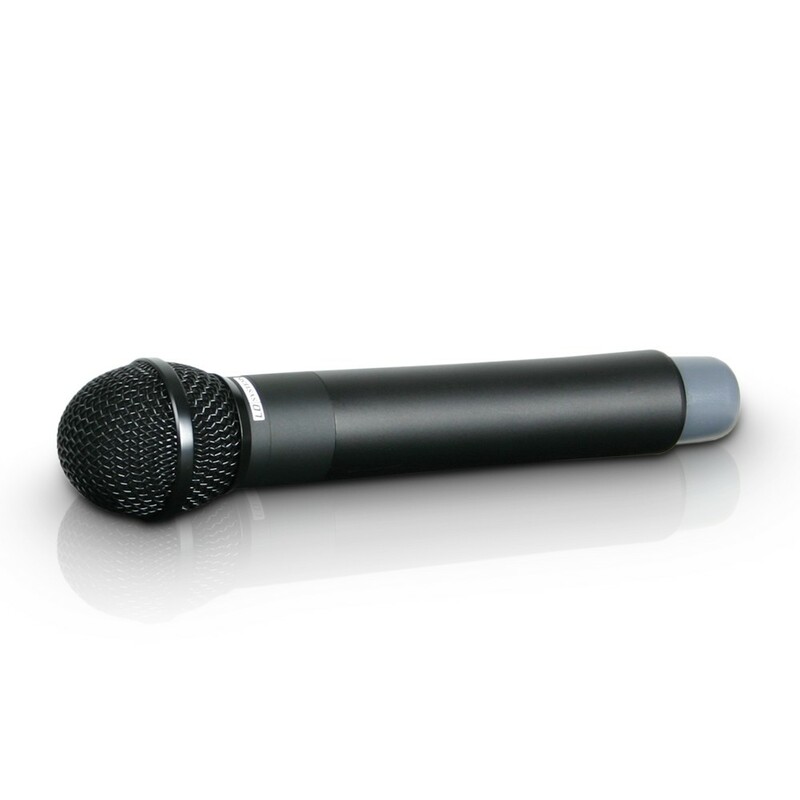 This ultra-light cover is suitable for all hand and wireless microphones, providing protection from dust and scratches. It is made of a hard-wearing modal and cotton mixture and features a convenient drawcord with fastener. The protective cover is very practical for securely stowing microphones in flightcases, suitcases and rack drawers. 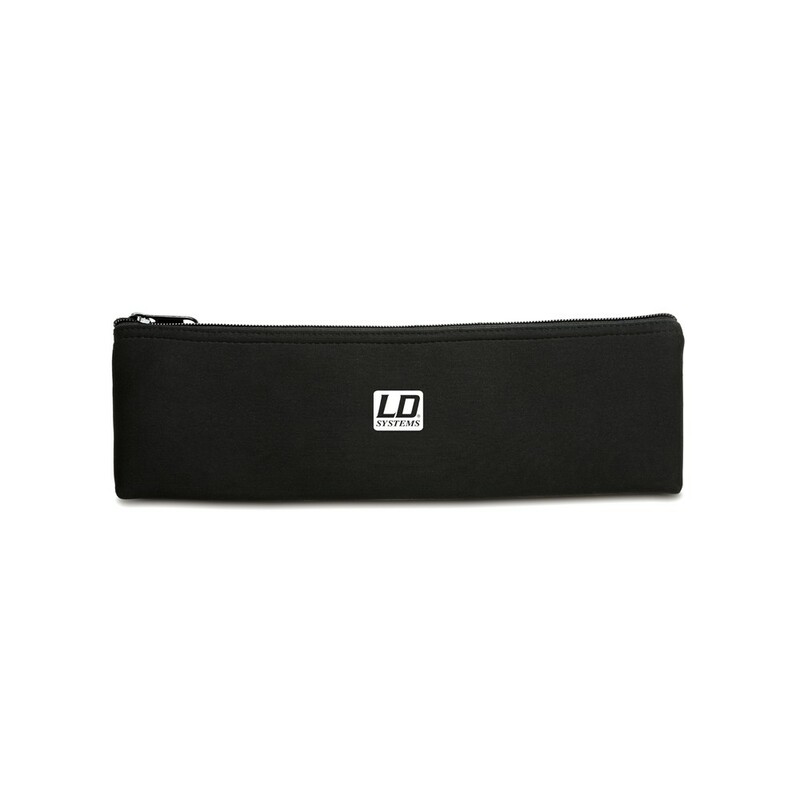 The light universal bag provides ideal protection and convenient storage for your microphones. 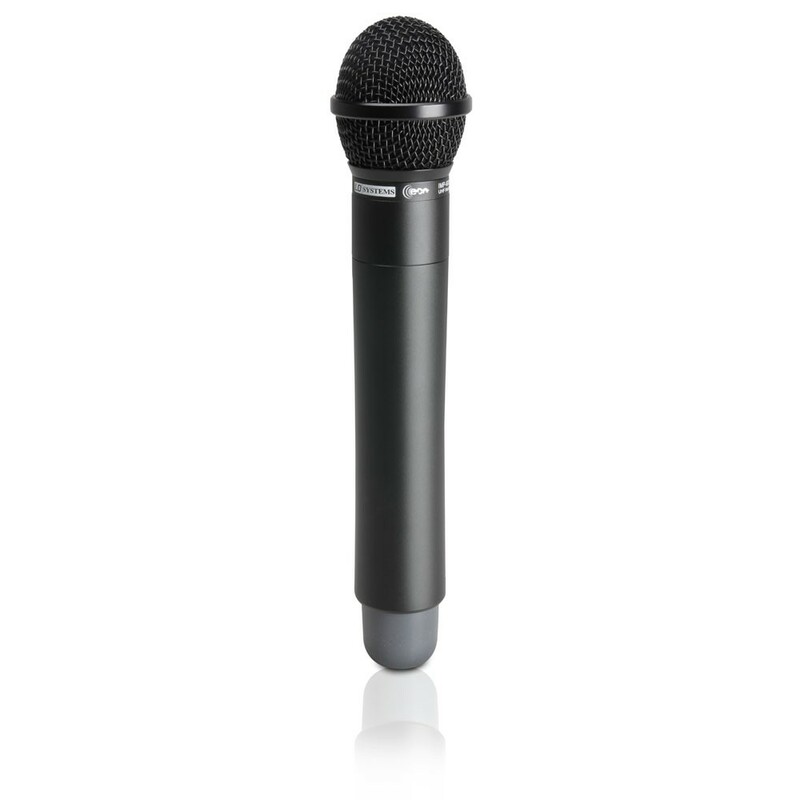 Though compact in size, it is large enough to hold up to two microphones or accessories, such as microphone clips, spare capsules and microphone cables. Made of durable and flexible neoprene, it is neat, functional and elegant in design. The bag is closed with a robust, continuous zip fastener. 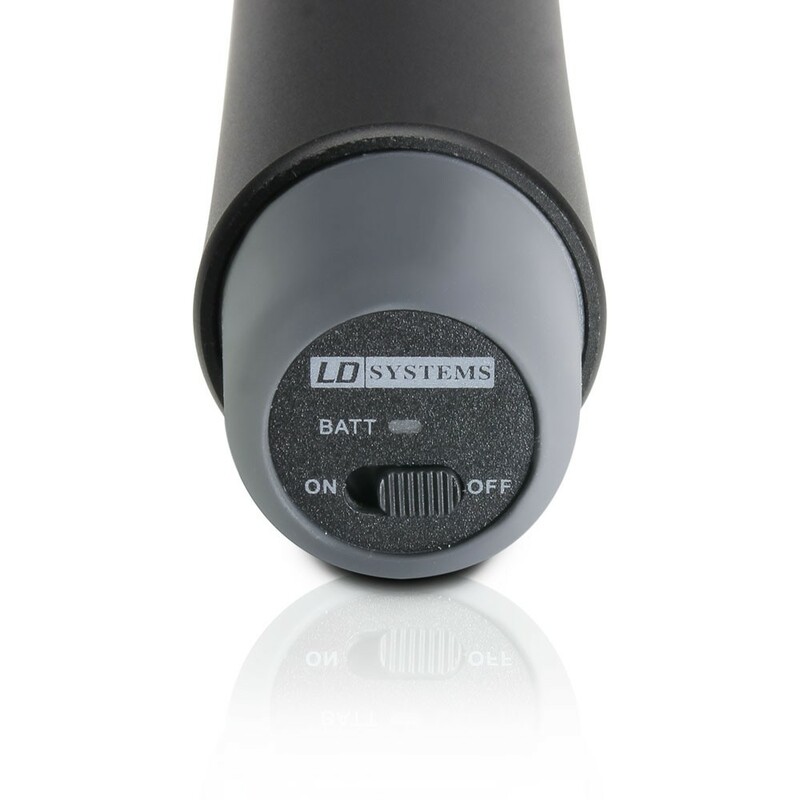 It is suitable for all wireless microphones from the LD product family, as well as all other commonly available wireless microphones.